Pope Francis approved a study into how the US cardinal rose through the ranks of the Catholic Church despite allegations against him. A TOP VATICAN cardinal issued a scathing rebuke of the ambassador who accused Pope Francis of covering up the sexual misconduct of a prominent US cardinal, saying his claims were a “blasphemous” political hit job. Six weeks after Archbishop Carlo Maria Vigano threw the papacy into turmoil over his claims about ex-Cardinal Theodore McCarrick, the head of the Vatican’s bishops office said there was no evidence in his files backing Vigano’s claims that Francis annulled any canonical sanctions against McCarrick. Ouellet did confirm for the first time that McCarrick, now 88, had been subject to some form of disciplinary measures given uncorroborated “rumours” of misconduct in his past. But Ouellet said the “exhortation” to live a discreet life of prayer stopped short of binding canonical sanctions, precisely because the rumours lacked proof. Ouellet’s letter was issued yesterday, a day after Francis authorised a “thorough study” of all Vatican archives into how McCarrick rose through the ranks of the Catholic Church despite allegations he sexually preyed on seminarians and young priests. The letter, addressed to Vigano but identified as an open letter to the faithful, marked an extraordinary end to the official Vatican silence about Vigano’s claims. In it, Ouellet both defended the pope and excoriated Vigano, asserting that the conservative cleric had used the scandal over sexual abuse in the US to score ideological points with Francis’ critics on the Catholic right. “In response to your unjust and unjustified attack, dear Vigano, I conclude that your accusation is a political setup without any real foundation that could incriminate the pope, and I repeat that it has profoundly wounded the communion of the church,” Ouellet wrote. He demanded Vigano “come out of hiding and repent” for having falsely accused Francis and questioned how he could continue to celebrate Mass and pray the rosary given his “incomprehensible and gravely reprehensible” attack on Christ’s vicar on Earth. The McCarrick scandal has thrown the US and Vatican hierarchy into turmoil, given that it was apparently an open secret in some US church circles that he would invite seminarians into his bed. Two men received settlements starting in 2005 from two New Jersey dioceses after they alleged McCarrick sexually molested or harassed them. The Vatican was informed starting in at least 2000 about the seminarian complaints. But it wasn’t until last year that it was informed of an accusation that he had molested a minor – a far more grave canonical crime than merely sleeping with adult seminarians. Francis accepted McCarrick’s resignation as a cardinal in July after a US church investigation determined that an allegation that he groped a teenage altar boy in the 1970s was credible. Since then, another man has come forward saying McCarrick molested him when he was a young teen. Ouellet’s letter marked the Vatican’s first direct response to Vigano’s 11-page denunciation published 26 August in which he accused two dozen Vatican and US church officials of covering up for McCarrick since 2000, and demanded Francis resign for his role in the scandal. He said the sanctions included a prohibition from traveling or lecturing for the church or celebrating Mass publicly. The historic record, however, is rife with evidence that McCarrick travelled widely in the years in which he was allegedly under sanction, with even Vigano toasting him warmly at an awards ceremony in New York in 2012. Ouellet did acknowledge that McCarrick had been “strongly exhorted” not to travel or appear in public, and to live a discreet life of prayer given the rumors against him. But he said a review of his files showed there were no documents about any canonical sanctions ever imposed by Benedict, and that it was “false” to suggest Francis had annulled any such measures. “After a review of the archives, I find that there are no documents signed by either pope in this regard, and there are no audience notes from my predecessor, Cardinal Giovanni-Battista Re, imposing on the retired archbishop the obligation to lead a quiet and private life with the weight normally reserved to canonical penalties,” Ouellet wrote. The reason is that back then, unlike today, there was not sufficient proof of his alleged culpability. Vigano had implied that Francis, even after being informed about McCarrick’s misdeeds, nevertheless rehabilitated him from “canonical sanctions” and made him a trusted counselor as he set out to remake the US bishops’ conference. Ouellet pointed out that the June 2013 meeting occurred as Francis was meeting with all his ambassadors for the first time and was gathering an “enormous quantity of verbal and written information” about the church. “I strongly doubt that McCarrick concerned him to the degree you’d like to think, given he was an 82-year-old emeritus archbishop who had been out of a job for seven years,” Ouellet wrote. Ouellet said in all his meetings with Francis about bishop nominations, he never heard him once refer to McCarrick as a trusted counsellor. As prefect of the Congregation for Bishops, Ouellet meets weekly with Francis to discuss nominations, and presumably would have come to understand if McCarrick had Francis’ ear. 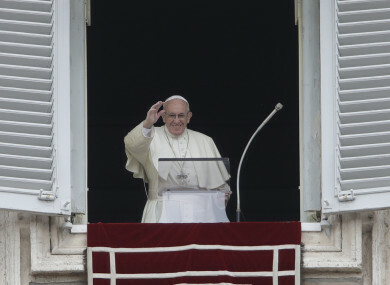 Ouellet said he understood that Vigano might be bitter at the way his own career ended, a reference to Vigano’s disappointment – expressed in leaked letters in 2012 – that he was never made a cardinal as he claimed he had been promised. But Ouellet said he couldn’t believe Vigano had arrived at such a “monstrous” and “blasphemous” conclusion, given that Francis had nothing to do with McCarrick’s career rise. “You cannot end your priestly life in an open and scandalous rebellion that inflicts a painful wound” on the church and divides its people, he ended his letter. Come out of your hiding place, repent for your rebellion and return to better feelings toward the Holy Father rather than fostering hostility against him. Email “Vatican refutes claims that Pope Francis covered up US cardinal's misconduct”. Feedback on “Vatican refutes claims that Pope Francis covered up US cardinal's misconduct”.